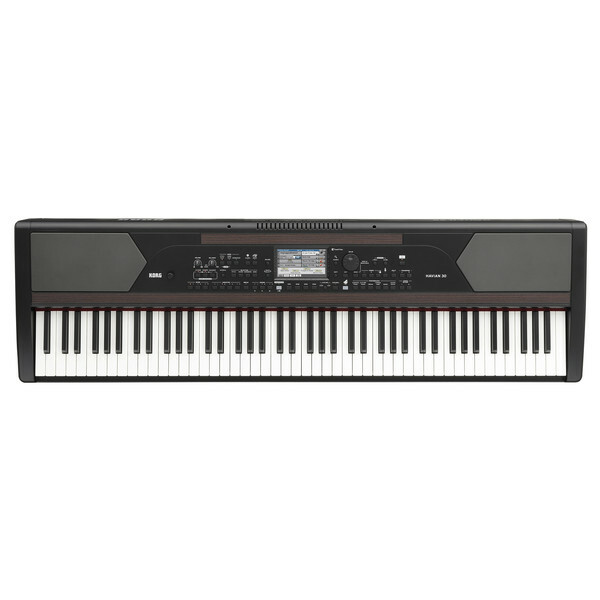 Discover the complete piano collection with Korg’s Havian 30 digital piano. Featuring a library of incredible sounds. The Havian 30 allows you to explore a world of styles and genres. The Havian 30 now offers an extensive selection of piano sounds, faithfully recorded using Korg’s very own sampling technology. Carefully crafted with European hammer-action. The Havian 30 is where convention meets innovation. Featuring incredible digital action, without compromising its acoustic personality. Please note, the box has been opened as part of our quality control inspections and as such, all the seals have been broken. The item itself is brand new and has never been used. This is a great opportunity to buy a fully functioning product at a discounted price, supplied with a two-year warranty. One for all! The Havian 30 is designed to meet the demands of the traditional and modern musician in this one instrument. Featuring some incredible innovations, while maintaining the touch and feel of an acoustic piano. The Havian 30 does more than to imitate the grand piano. Housing a complete collection of piano sounds. The extensive library of instrument sounds and styles allows you to explore any and every genre you could possibly imagine. From Classic Rock to the Cool R&B. The creative possibilities are endless here. Explore a world of styles and genres with the Havian 30. Fully equipped with a library of accompaniment styles and instrument loops. 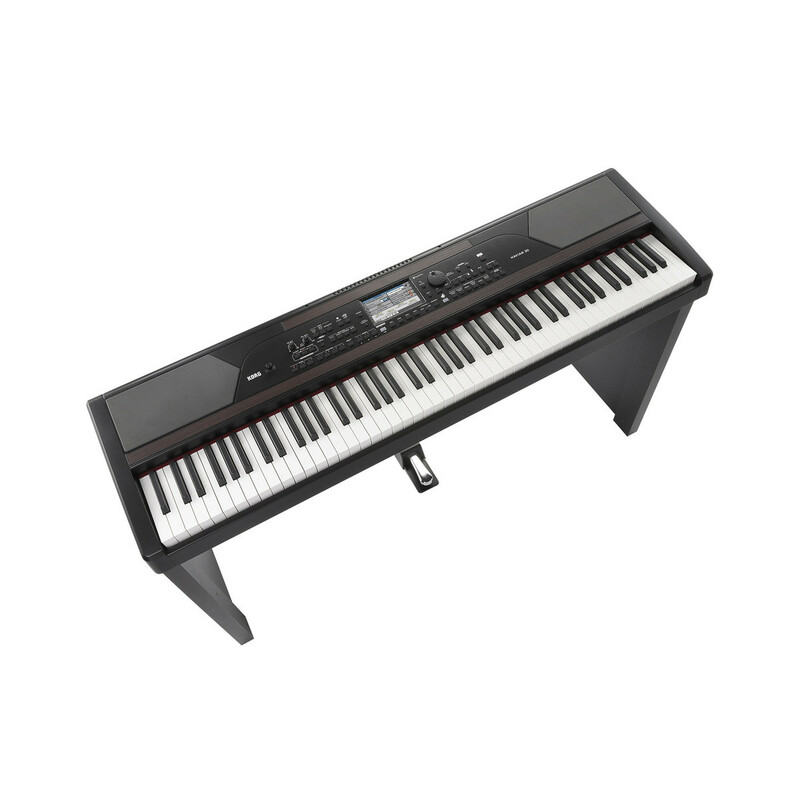 The digital piano allows you to cover any musical genre you choose. Choose from a choice of five accompaniment parts, that offer an incredibly natural feel of a real live band. Faithfully recorded to produce the most incredible expression. And customize your sound until you create your own unique sound and style. Carefully designed to store media files. The Havian 30 allows you to play and record songs in MIDI and MP3 format. So record and playback, as you often as you wish! And display your lyrics and chords on the Touch View interface, while the Havian 30 converts your MIDI song track into a readable score. 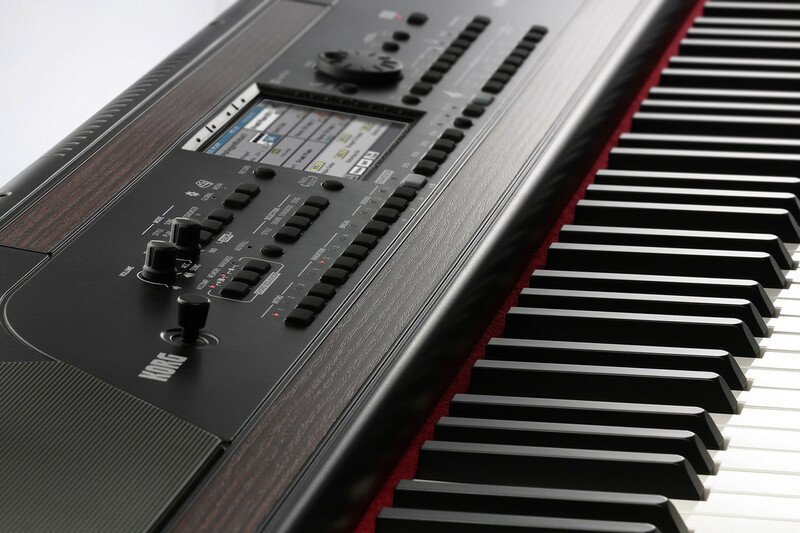 Translate your music with ease, all thanks to Korg’s intuitive MID technology. The Havian 30 comes packed with a standard music rest and a piano stool with storage. The music rest can easily be attached to the digital piano. While the piano stool comes with storage space that allows you to carefully put away your music books and scores. To benefit from its huge collection of Styles and Songs, the HAVIAN 30 has the intuitive song organization database, the SongBook. The SongBook is a music database that allows users to quickly search for and retrieve Songs and performance settings based on name, artist, genre or tempo. The SongBook can be edited from your PC using the editor software available as free download from www.korg.com. It can also be synchronised with iPad and most modern Android tablets to become a handy external digital music sheet reader using 3rd party software.